My colleague Mike Parker has a great new series of posts up on securing Exchange Server 2016 with Azure AD. 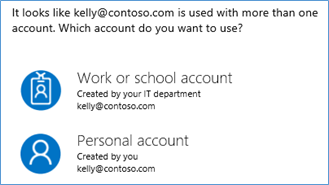 This option may seem counter-intuitive at a glance, but given that most organisations are on a trajectory from Exchange Server to Exchange Online, this configuration can consolidate access control for e-mail in a single location (for instance, over the duration of a migration or for long-term co-existence). It also means that Azure AD Conditional Access policies can be used for Exchange resources on and off-premises, which improves security while enabling mobility. Get most Exchange Server components to use OAuth 2.0. This is known as Hybrid Modern Authentication. Publish Outlook Web App (OWA) and the Exchange Control Panel (ECP) using the Azure AD Application Proxy. The second step is necessary because these components are not currently supported for Hybrid Modern Authentication. The major pre-requisite for publishing an application with the Azure AD Application Proxy is that it should be authenticated with Kerberos and the Application Proxy Connector machine accounts need to be configured to use Constrained Delegation (KCD) for the OWA and ECP Service Principal Name (SPN). Mike’s article takes you through all of this step-by-step. 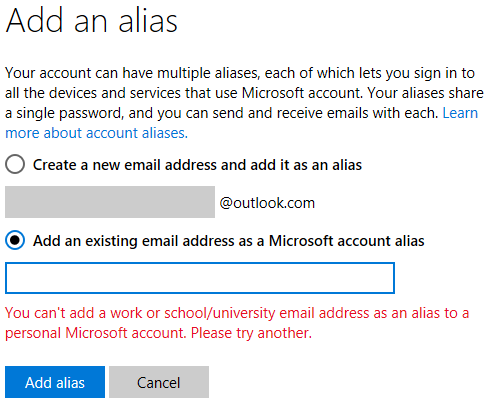 My post deviates a bit from Mike’s guide to consider the idiosyncrasies of the Exchange Alternative Service Account Credential (ASA), which has underpinned Kerberos in Exchange Server since 2010 SP1. If you are familiar with configuring Kerberos, the ASA will almost certainly hold some surprises. Maybe even a fourth head. AD FS 2012 R2 ships with the InsideCorporateNetwork Claim. It evaluates to “True” when a request is received directly at AD FS, or “False”, if a request is received at the WAP. This Claim doesn’t exist in AD FS 2.0/2.1, and it’s fair to say this is one of the more poorly understood differences in behaviour across the versions. Microsoft and other large software vendors often fall foul of criticisms that products overlap significantly, or that discreet functionality in one product has been written afresh when the facility is already mature in another technology. As I’ve grown to know it better, I think Microsoft’s Forefront Identity Manager (FIM) provides some interesting examples of the benefits and drawbacks of product re-use. I put these thoughts out as a set of considerations to counter the view that reuse is always a positive thing. Note: I wrote this article a long time ago, and have always been on the fence about posting it because it’s an editorial rather than purely technical content. I’m not 100% certain this is the right place for this content, but I am publishing it here now rather than letting it rot. Because this was written a long time ago, some references are dated. Like this doesn’t speak of MIM, AADSync or AAD Connect in any detail, so put that knowledge to one side for now. Many people think of AD FS as merely a federated authentication service. And with a name like Active Directory Federation Services, it’s easy to see why. However, it also has the capacity to make authorisation decisions within its Claims Engine. This may be most familiar as the Office 365 Client Access Policies, but those policies are basically just a flavour of AD FS Issuance Authorisation Rules. An AD FS Issuance Authorisation rule provides a gate at AD FS, where permissions can be granted or denied to authentic users, per-Relying Party, before giving the user Claims for the requested Relying Party. In most cases we will think about these rules as coarse controls, to block a wide category of requests, such as those originating from outside the network, for members of a group, or for any combination of request-based, device-based and user attribute-based Claims. We can even create authorisation rules based on the user’s Identity Provider, or from additional factors of authentication. We will typically still implement most of our authorisation logic within the Relying Parties we are authenticating to, but in some cases it’s very useful to control access at this intermediary tier – especially if a large class of users, devices or networks should be treated as higher risk. Ultimately, I think these articles do answer the question of how to create an AD FS Issuance Authorisation rule, but I can’t point very clearly to the place on these pages that spells it out, and I do think there is a lot of confusing information about this in other places which may lead people astray. Namely, there is a lot of information that only concerns itself with the default Active Directory Claims Provider Rules and the Claims that come from request headers. Also, some of the most referenced AD FS + SharePoint content seems to have been written without authorisation rules in-mind. I want to try to clear some of that up in this post. I’ve added a fairly significant update regarding the new MFA stage in the pipeline half-way down this post. A month or two ago I read an eye opening presentation called Shining the Light on Flashlight and the Security of Thousands of Mobile Apps. It’s worth a quick read, especially pages 42 onwards, where the risks of flashlight apps are unveiled. Although the presentation focuses on security risks among the most popular Android and iOS apps, I noticed that pretty much all of the Windows Phone flashlight apps have similarly questionable requirements. Why does a flashlight need to know where I am? Or have access to my files? Or send a raft of data all over the place? Needless to say, I got rid of my flashlight app. Fast forward a week or two, and I needed a flashlight (or a torch, as we say in the UK). I decided to use my screen, which was pretty week, and then it occurred to me that I could enable the flash on my camera while in video mode, which does precisely what a flashlight app would do, without the app. It’s not many more “clicks” than launching and enabling an app (especially if I use the hardware key for the camera), and achieves the same result. I don’t know how well this work on other platforms, but I’m struggling to see why it wouldn’t. Hope this helps someone.